Rabbi Jason Miller is based in Metro Detroit, Michigan, but is available to officiate at mitzvahs all over the country. The bar mitzvah and bat mitzvah ceremonies he leads are all unique. 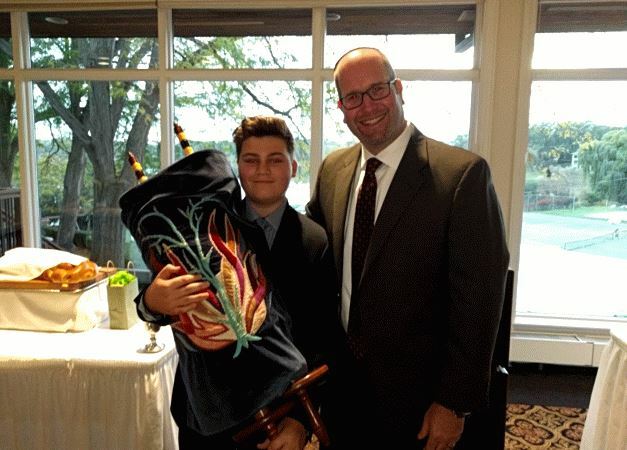 Rabbi Jason uses only caring, experienced tutors who love working with Jewish teens to create meaningful and memorable bar mitzvah and bat mitzvah experiences. Rabbi Jason offers the choice of on-site bar mitzvah/bat mitzvah training or virtual training through video conferencing tools like FaceTime, Zoom, Skype or Google Hangouts. As each bar/bat mitzvah student prepares for the big day, they work closely with Rabbi Jason. They learn about the importance of becoming a Jewish young adult, explore Jewish history and rituals, study Hebrew and they can learn to read or chant from the Torah. Each teen learns differently and, therefore, the bar mitzvah/bat mitzvah training will be adjusted to accommodate each student. What is so beautiful about the “mitzvah moments” Rabbi Jason helps your family create is that no two bar mitzvah or bat mitzvah ceremonies are the same. Each is unique in its own way because each Jewish teen is unique. Contact Rabbi Jason today to begin the bar mitzvah experience or bat mitzvah experience. It will be a rewarding time in your child’s life and the ceremony will be both meaningful and memorable.